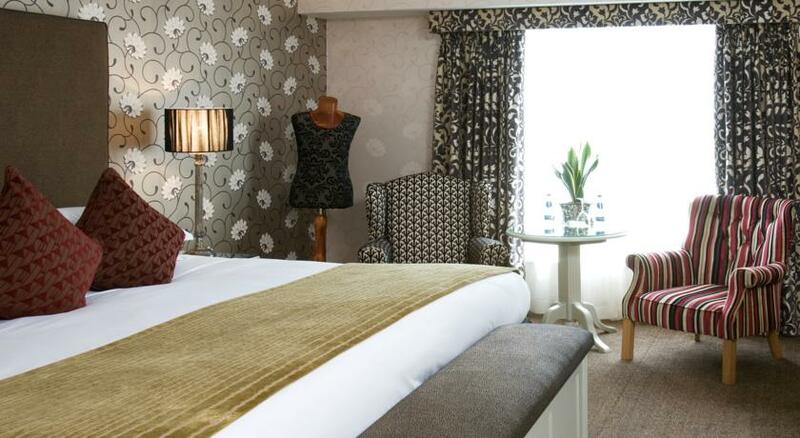 Brooks Hotel Dublin is a fourstar hotel in Dublin 2 in a great city centre location. This four star boutique hotel is just a few minutes walk from St. Stephens Green Shopping Centre and is one of the best places to stay when visiting the city. As well as the classy reception, bar, lounge and restaurant, the hotel has meeting rooms with audiovisual equipment. The business centre has computers with high speed internet access. This Dublin hotel has a private cinema which is suitable for corporate presentations and there is a cinema club based here. Most of all Brooks is a pleasant place to stay with a very helpful team of staff at all levels. Parking: Directly across the street from the hotel is Drury Street. The hotel has negotiated special reduced rates for overnight parking for guests. This hotel has 98 rooms including Single, Twin and Double. The rooms have free high-speed Wifi (no logins or sign-ups needed) Flat screen multi-channel TV, Tea/Coffee making facilities and a minibar which will be stocked on request. The beds are quite large and very comfortable and there is plenty wardrobe space and seating. The bathrooms have a bath and separate shower and toiletries, shampoos etc are provided. The rooms are bright and airy (with adjustable air-conditioning) and are tastily decorated and furnished. Drinks and snacks are available in the Jasmine Bar which has a piano and Francesca’s restaurant serves tasty dishes from its Irish and International menu. Breakfast is particularly good at Brooks hotel with a wide range of Continental, Full Irish, Fruits, Cold Meats, Breads etc on offer. This hotel is one of the best located in Dublin City Centre. St. Stephen’s Green, Dublin Castle, Temple Bar, The Chester Beatty Library Grafton Street and Trinity College are no more than a five minute walk away. The hotel is surrounded by numerous restaurants and cafes as well as some very lively pubs and small shops. We stayed at this hotel recently during the Taste of Dublin Festival. We were particularly impressed by the comfort of the rooms, the helpful staff, the fast WiFi, the excellent breakfast and the fact that it is located so close to so many of Dublin’s major attractions. Booking.com’s 9/10 is just right.